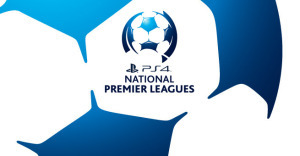 Northern NSW PlayStation® 4 National Premier Leagues (PS4 NPL) Round 14 Match of the Round will be the Coalfields derby between finals contenders Weston Workers and second-last Maitland. The Bears are fourth on goal difference behind Lambton Jaffas and have a resurgent Broadmeadow Magic just two points behind them in the race for a top-four semi-finals berth. Maitland are five points clear of South Cardiff and keen to move well clear of last place with victory over Weston, who defeated them 1-0 at Cooks Square Park in their first meeting this season. Weston came back from a goal down to defeat the Newcastle Jets Youth side 2-1 last week at home thanks to a double from Kiwi teenager Paul Clout. "We've been waiting for him to show his form that he has been displaying at training, so it was very, very good," Weston coach Trevor Morris said of Clout. The victory continued an inconsistent run of results for Morris' team, who have gone win-loss-win-loss over the past month. Morris said his side were buoyed by the win over the Jets and had trained well this week. He expected to have Zac Sneddon back from a week off with an ankle injury and hoped Jason Cowburn could return from work commitments. Maitland are coming off losses to Broadmeadow 3-0 and Edgeworth 2-0 but Morris was wary of Reece Thompson's side after watching their match against Magic two weeks ago. "The beauty of derbies all over the world is it doesn't matter where you sit on the table, there's always plenty of pride and passion at stake, and they will be desperate," Morris said. "I was impressed with what they did against Broadmeadow and I thought they were a tad unlucky. "With Anthony Richards helping Reece out, I think they are a lot more organised and they should be hard to break down, so it should be a good day." Thompson said Matt Comerford would miss the match with suspension and Denis Fajkovic with a broken hand but his side would otherwise be full strength for the trip to Weston. He was hoping for a change of luck in front of goal after a frustrating two weeks. "Edgeworth were the better side and deserved the win, but we had some ridiculously good chances," Thompson said. "We could have got something from the game and against Magic, it's the same old story, but you've got to take your chances to win games." The match will be streamed live on BarTV. South Cardiff and Hamilton are at different ends of the table but both are desperate to break a frustrating run of results at Darling Street Oval on Saturday. The last-placed Gunners lost to Charlestown 2-0 last week to drop five points behind second-last Maitland, while second-placed Hamilton drew 0-0 with Lambton Jaffas to fall four points shy of leaders Edgeworth. South Cardiff welcome back senior players Jarryd Johnson (suspension), Mat Grey and Lee Ashton (both injury) to their top squad. Gunners coach Greg Asquith hoped the influx of experienced players would help turn around his side's fortunes in trying to avoid relegation. "It will be very helpful to have them back and I expect a much improved performance," Asquith said. "We have to rely on other teams dropping points now hopefully that takes the pressure off us a bit and we start to play with more freedom, because we need to score goals." Olympic have failed to take their chances in two draws and a loss from their past three matches. Coach Mick Bolch said the draw last week, his side's fifth this season, was frustrating but he was encouraged by the opportunities they were creating. "We've just got to turn it around this week hopefully," Bolch said. "It's just that bit of luck, but it will come. As long as we're creating chances, it will happen." Hamilton defeated South Cardiff 5-2 first time around this year but Bolch was wary of the struggling Gunners. "They'll be up for it, they've got to be desperate," he said. He said Jason Koroktich and Matt Harper were away this weekend. Edgeworth will be on guard for the dangerous Adamstown line-up as they look to protect their premiership lead at Jack McLaughlan Oval on Sunday. The Eagles extended their advantage to four points with a 2-0 win over Maitland last week and will field a similar side against a Rosebud team who lost 4-1 to Broadmeadow in round 13. Edgeworth coach Damian Zane said Pat Wheeler would return to replace the suspended Cameron Hughes in his back-line but Justin Tannock, Bray Smith and Josh Evans were away. Keanu Moore will return to the starting side after coming on late against Maitland. Rosebud's finals chances are fading but Zane was not expecting an easy game against a side they defeated 2-0 earlier this year. "I think Graham Law is a really good coach and Adamstown are a pretty decent side," Zane said. "I really rate Nic Bale and Travis Cooper and I think their team has been unlucky in games and they are probably a tad unlucky not to be higher on the table." Law said Rosebud still have Alex Gillespie and Dayne Pawlik sidelined and they were likely to field the same team who went down to a late blitz from Magic. Adamstown appear safe from relegation but unlikely to figure in the finals race, sitting nine points outside the top four. However, Law said it was important for his side not to become complacent. "We're going to set a mini goal with the boys because we can't just let the season peter out," Law said. "But there's nothing to say we can't win our last five games and maybe just scrape into the finals. "Edgeworth are going well and they deserve it, they are a good team. "We know it will be tough but if we play well, we can go there and win." Charlestown will be out to build on their crucial 2-0 win over South Cardiff and move further away from the bottom of the table against the Newcastle Jets Youth on Sunday. Midfielder Matt Tull, who is battling a groin problem, is the only injury concern for the Blues, who moved from ninth to eighth, just one point behind the Jets, with the win last week. Charlestown coach Shane Pryce believed another four points would be enough to ensure his side's safety and he was confident they could turn around the 3-1 loss to the Jets earlier this season. "It's been building for a couple of weeks and hopefully we've turned the corner and we can carry it on," Pryce said of the win over South Cardiff. "The Jets have had players coming in and out showing their wares to new coach Scott Miller, so there's no excuses for us." Jets Youth coach Peter McGuinness said Charlie Horsley and Andrew Pawiak battled illness last week in the 2-1 loss to Weston but they would be back in the mix to start against the Blues. McGuinness said the side were unlikely to have A-League signings Brandon Lundy and Josh Barresi again this season but he was excited to give other players an opportunity. "The good thing is the door has been opened for younger kids," McGuinness said. "They are being exposed to this level and it's good for them." An undermanned Broadmeadow should meet a full-strength Lambton Jaffas in what shapes as a crucial clash in the race for the top four. After a four-match losing streak knocked them down the ladder, Magic have won back-to-back games to sit two points outside the four. The Jaffas, who had a 2-2 draw with Magic first time around, have also surged back into contention and are third on goal difference ahead of Weston. Broadmeadow showed glimpses of their best in a 4-1 win over Adamstown last week but will be without captain Peter Haynes (work commitments) and his deputy Josh Piddington (fractured ribs). Magic also have Chris Berlin (ankle) in doubt and Jayden Barber (hamstring) still out. Jon Griffiths returns from suspension to boost Magic's defence. Co-coach Robert Virgili was hopeful his side could continue their resurgence and push into the top four with victory over the Jaffas. "Our defence from set pieces has been poor and we need to improve that," Virgili said. "I think we've conceded nine or 10 goals from set pieces. "But I think if we can get a win this week it will go a long way towards lifting the confidence of the boys. "We've had two wins in a row now and another over a big team like the Jaffas could really turn our season around." Jaffas coach David Tanchevski said his side had come through well from the 0-0 draw with Hamilton and they would welcome back Hakan Canli from injury. Lambton are on an unbeaten seven-game streak and Tanchevski said it would be vital to keep getting results as the finals race heats up. "To get at least a point was important last week and it's important again this week," Tanchevski said. "Hopefully if we can get a win over Magic, we can stay in there. "It will be an interesting run home in the finals race, it's going to be tight."